More than 1,400 schools across the country make sure "No One Eats Alone"
Hundreds of schools across the country are taking part in a national one-day event on Friday to ensure no student eats lunch alone. 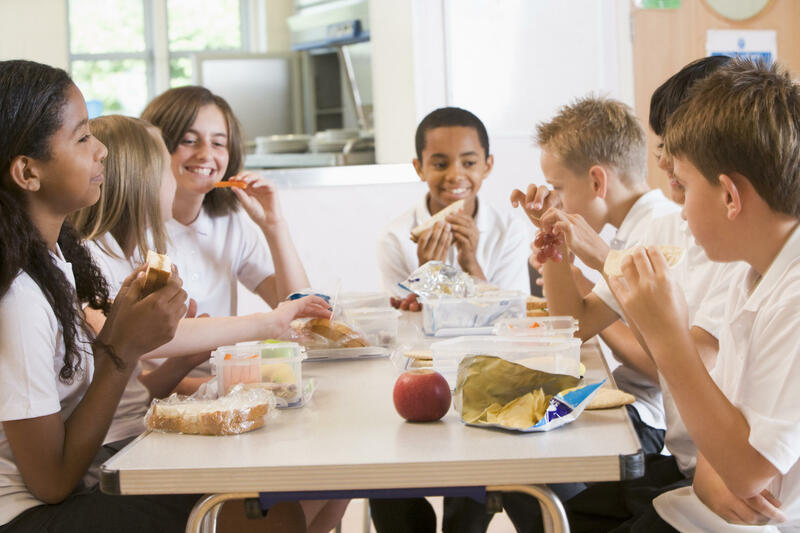 As part of the lunchtime initiative, “No One Eats Alone,” which launched in California in 2012, students are encouraged to fill their lunch tables, switch seats and make new friends. The campaign was started by Beyond Differences, a student-led organization that was founded by the parents of Lili Smith, a young girl who was born with a cranial facial syndrome and, as a result, was sadly isolated during her middle school years. After Smith died at the age of 15 in 2009, a group of teens in her community decided to bring change to their schools — and “No One Eats Alone” was a stepping stone. Now kids are getting closer to fulfilling their goal. Nationwide, more than 1,4000 schools were expected to participate in today’s event. That includes students in at least 62 schools in Illinois, CBS Chicago reports. “‘No One Eats Alone’ is a lunchtime school event that asks students to engage in a simple act of kindness; and that is to make sure that no one is eating alone and that students are learning to make an effort to reach out to new classmates and peers,” Elgin District U-46 spokeswoman Mary Fergus told CBS Chicago. School officials have been taking to social media to share photos from their individual events, using the hashtag #NoOneEatsAloneDay. “From pre-K to 5th grade, our students pledged that #NoOneEatsAloneDay will be every day!” Slater Elementary School in Atlanta, Georgia, tweeted. Beyond Differences said “No One Eats Alone Day” is their most popular national awareness day, and they hope schools will continue to participate each year.